The Swiss coach has had a major impact on the 2. Bundesliga's form side. René Weiler has managed to turnaround a situation that almost saw him sacked earlier in the season, to one which now sees 1. FC Nürnberg as the form side in the 2. Bundesliga. From his humble beginnings as a footballer and manager, the Frankenstadion outfit’s head coach is bringing stability and results to der Club. With promotion now seemingly within touching distance, just how has the 42-year-old managed to go from minimal managerial experience to taking on and restoring a winning mentality to one of Germany’s biggest clubs? After beginning with hometown side FC Winterthur, Weiler moved on to FC Aarau, FC Servette and then FC Zürich. However, just as things seemed to be falling into place, a torn knee ligament would ruin his 1997. It was a year that he made his debut for the Swiss national team, but after that it saw Weiler resigned to less playing time. After returning to Winterthur in 1998, he called time on his career in 2001 following another knee problem at just 28. While one door closed, another opened. He was quickly brought into the assistant manager role at Wintherhur for two different spells. Weiler also spent some time at FC St. Gallen and FC Schaffhausen, although neither were anything to shout about. A mediocre spell at the latter wasn’t any real evidence to show that he could go on to manage at bigger clubs, but his next move proved that wrong. 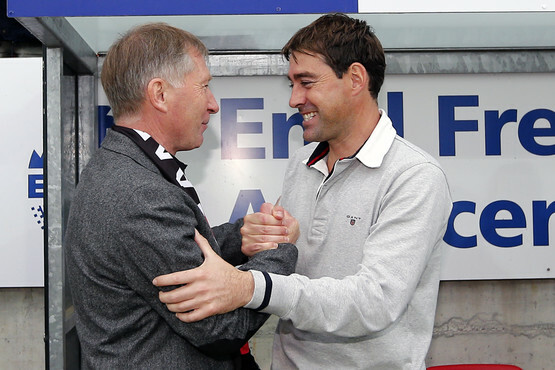 Taking charge of lowly FC Aarau, who are probably best known for the club that provided Ottmar Hitzfeld with his first trophy, Weiler began to build the club back into the top division. After narrowly missing out on promotion during the 2011-12 season, they strode to the title a year later. Artur Ionita and Silvain Widmer were also given chances under Weiler and are now plying their trade in the Italian Serie A. They both stayed with the club going in their return to the top flight, as they comfortably secured their status in the division. 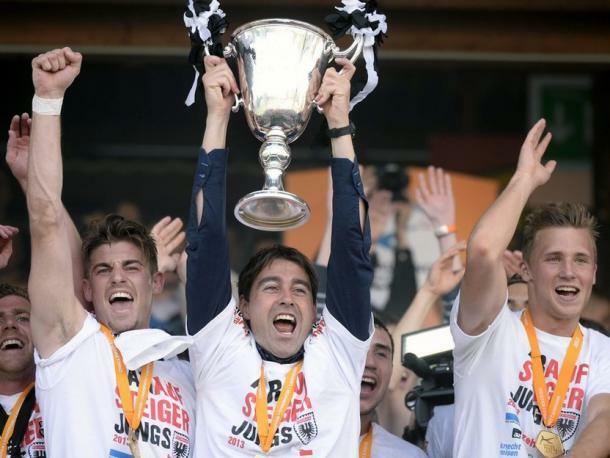 Despite finishing just one place above bottom, Aarau ended the season just eight points from a Europa League spot. However, Weiler opted not to stay on with the club. Even though he had the option to stay on for the remainder of the season, he left without a team to go to. It looked to be a curious decision but when Nürnberg came knocking in the early stages of winter, he had found his club. After leaving Aarau in a reasonably stable state in Switzerland, that was far from the case when he took the reins at the Frankenstadion. Nürnberg were languishing just two points above 17th and after being many people’s favourites to make an immediate return to the top tier, found themselves in an unlikely relegation battle. When Valérien Ismaël was relieved of his duties, Weiler came in during the international break. While he had some time to prepare, a game against runaway league leaders FC Ingolstadt 04 didn’t present an easy start. However, a super start in the first-half saw them come away with a 2-1 win. In truth, the appointment had immediate success for the Franks. Just two defeats would follow in his first 10 games in charge, with six wins in that time. That propelled them to the coat tails of the promotion chasers, and Nürnberg were in the form to pounce if any should slip up. However, five defeats came in the next six games and suddenly things looked as bleak as they did earlier in the season. It would have been no real surprise if the board were considering a replacement for next season, even though Weiler had been tied down to a ‘long-term’ deal. Given that Nürnberg had appointed six coaches since Dieter Hecking’s departure for VfL Wolfsburg in 2012, they could have easily continued along the same path and cut the Swiss coach. Weiler seemed different, though, with his work at Aarau and building them into the top division standing him in good stead. 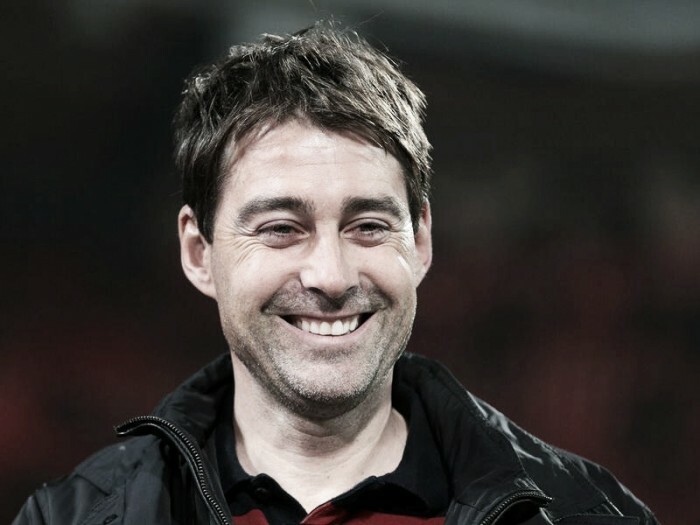 The final five games saw Nürnberg lose just once and finish in the middle of the pack, with Weiler given the chance to get a second transfer window under his belt. The winless run during last season and a real mixed bag to start the second term meant that the 42-year-old was coming under real pressure. A derby defeat to rivals Greuther Fürth didn’t help his cause, and neither did stories circling that he had met with RB Leipzig to discuss the manager’s job there behind the club’s back. Discontent was beginning to grow that one of Germany’s biggest teams may have to wait another season to get out of the 2. Bundesliga and return to their rightful spot in the top tier. Weiler needed results and fast; he answered his critics, shut them up and turned them into admirers. What would follow next wasn’t expected by anyone. Since defeat in the Frankenderby, Nürnberg have lost just once to RB Leipzig. That game came in mid-October, and Weiler managed to return the favour to the side that he was seemingly set to move to last weekend. A 3-1 win helped propel them within three points of the then seemingly uncatchable league leaders (Freiburg would overtake them on Monday night). Five draws surrounded the initial defeat to Leipzig, which meant Weiler was by no means out of the woods yet. The final draw in that run with 1. FC Union Berlin, a comeback from 3-1 down, was a sign that times were changing. From 10th and mid-table mediocrity, Nürnberg have won 11 of their last 13 matches – the other two being draws – to climb within three points of the top. On form, it looks like Weiler and Freiburg will knock Leipzig down to third and, perhaps, resign the Bulls to a play-off tie to earn promotion. 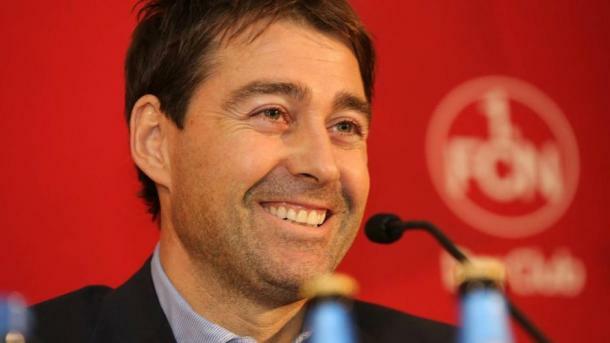 The decision to stay with Nürnberg looks fully justified, and the board deserve credit for being one of few teams to show confidence in their manager and let him continue with the project he was building. 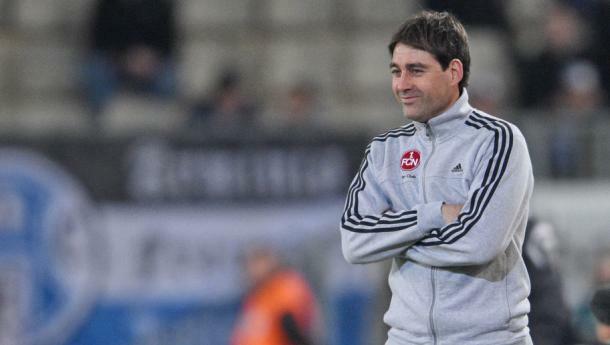 Given Weiler’s small budget at Aarau, spending money on big-name players has never been in his head. With Nürnberg in a tough situation financially, his results have come at little cost to the board and, if anything, helped them make money. Hanno Behrens, Tim Leibold, Georg Margreitter, Laszlo Sepsi and Kevin Möhwald all arrived for free this summer and have immediately slotted into the side. Behrens decision to swap Bundesliga football with Darmstadt for the promotion battle shows that Weiler is building a project that is garnering interest from the tier above. Tim Leibold and Möhwald have been fantastic despite their youth, and have adapted well to the rigours of 2. Bundesliga football. The latter, in particular, has an impressive haul of eight assists this term. Sepsi was another steal, and will be hoping to continue his good form ahead of the European Championships to earn a place in the Romanian squad. Two of the more interesting acquisitions come in the form of Guido Burgstaller and Margreitter. Two players who had struggled to adapt to Championship football were snapped up with plenty of question marks surrounding their ability. Both, much like Weiler, have silenced the doubters. Burgstaller was called up to Austria’s most recent international squad having topped Nürnberg’s scoring charts, while his countryman has performed steadily at centre-half. Somewhat surprisingly, when given money to spend, it hasn’t always gone to plan for Weiler. Aside from the capture of Miso Brecko, the signings of Stefan Kutschke and Rurik Gislason have fallen flat on their faces. The former has already left on loan for Dynamo Dresden, with the Icelandic international having his game time hindered by injuries and poor form. It could be seen as a positive that Weiler can make things work without money. 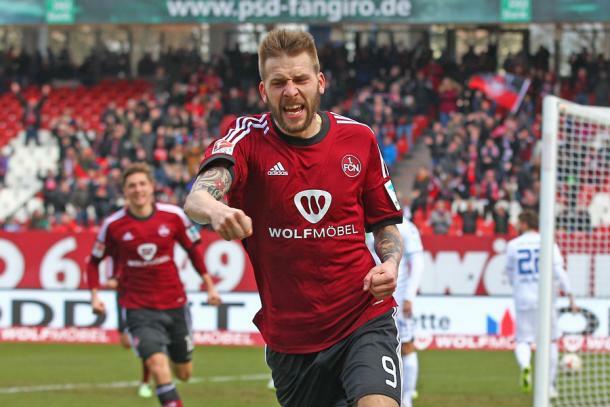 He is not only looking like returning Nürnberg to the top tier, but also moving them back into the black. Having spent around £500,000 on the aforementioned trio, he recouped £6m alone from the sales of Alessandro Schöpf and Niklas Stark. While they could have been staples of the side moving forward, Weiler has brought in replacements for much less. Zoltan Stieber arrived on a loan and has been solid if unspectacular, with Margreitter filling in for Stark in defence. His no risk, no fee dealings seem to be just what the club needed. Stark could also play in the centre of midfield and that is where Weiler’s most important move has been made. The promotion of Patrick Erras to the first-team has paid off massively, his constant goal-getting is an added bonus to his solid all-round play, which has seen him called up into Germany’s youth ranks before injury ended his season prematurely. With this highly thought out transfer style, many would be forgiven for thinking that he is a manager who yearns for a complex tactical shape. That couldn’t be further from the truth; Nürnberg are flying high with a standard 4-4-2. It is perhaps the simple formation that has allowed the Franks to vary their play according to the situation. With Nicklas Füllkrug and Guido Burgstaller up front, they have two physical forwards that can be used to go over the top, go into feet or throw crosses into the box. This versatility, combined with hard work across the midfield, has been a real recipe for success. The return of Raphael Schäfer between the sticks his breathed confidence back through the defence and they are now a well-oiled unit. Even when Patrick Rakovsky has been forced in after injury to their veteran stopper, Dave Bulthuis, Even Hovland and the other defenders mentioned through-out now have the leadership abilities to see them through to superb defensive displays. Of course, this would not be possible without Weiler's calm and calculated approach. He is calm and collected even when things come to a head. The Swiss coach has his best years ahead of him and if his time with the Franks is anything to go by, then this is a partnership that could see both parties get the best out of each other.